Roxie Watson is a five-piece string band that blends gorgeous vocal harmonies and stellar songs. The group formed in 2007 as a just-for-kicks opportunity for long-time friends Beth Wheeler “BWhee,” Lenny Lasater, Linda Bolley, Sonia Tetlow and Beck Shaw. On March 22, 2014, Roxie Watson will throw and album release party at Chickie Wah Wah. 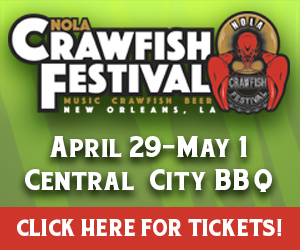 Tetlow, a native of New Orleans and Tulane graduate, played bass for Cowboy Mouth before leaving the band in 2007. 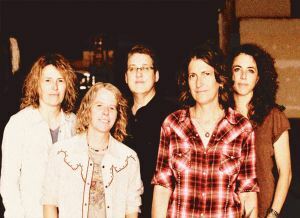 Tetlow says, “I brought the gals down to record on my solo record last year and we came back to record Roxie Watson’s third record.” Tetlow’s record, Own Way Home, was released on Threadhead Records to excellent reviews last year. Songs from Hell’s Hollow was recorded and mixed at the Music Shed. Roxie Watson has found its own sound with unique harmonies and arrangements. All five women write the songs. They keep the focus on being silly, and being serious, but mostly just being human. The CD release show is at Chickie Wah Wah on March 22. CDs will be available at Louisiana Music Factory.